Jetted up to Orlando from SE Florida this afternoon and arrived just after registration closed. So, sorry no Expo floor shots yet. That will happen tomorrow. Tonight though they had a fashion show at the Peabody Hotel for the Expo. So, I went over to shoot some of the fashions on the runway and have put some up here. Kite stuff to come soon, honest! Quitting time, been fun, see you again tomorrow! Last edited by RickI; 09-12-2008 at 11:38 PM. 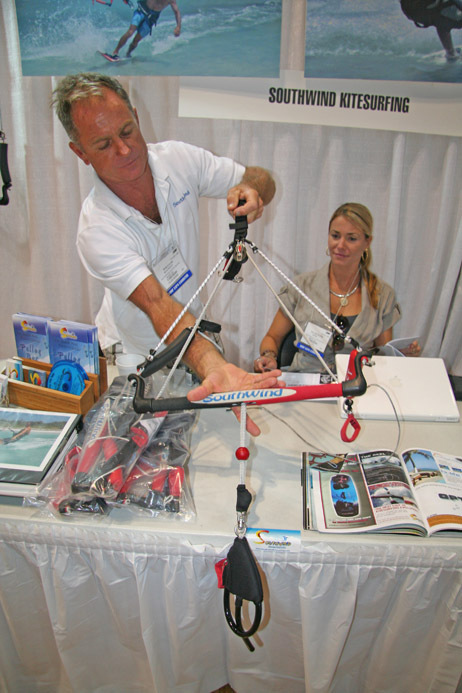 Just returning from a very busy weekend at Surf Expo. 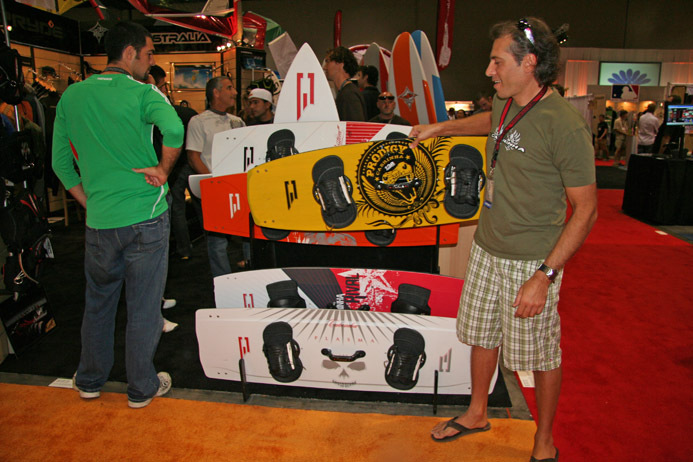 The ASI booth, was probably the most packed booth in the entire show including the soft goods companies. I guess that this is a testiment that kiteboarding is alive and well. 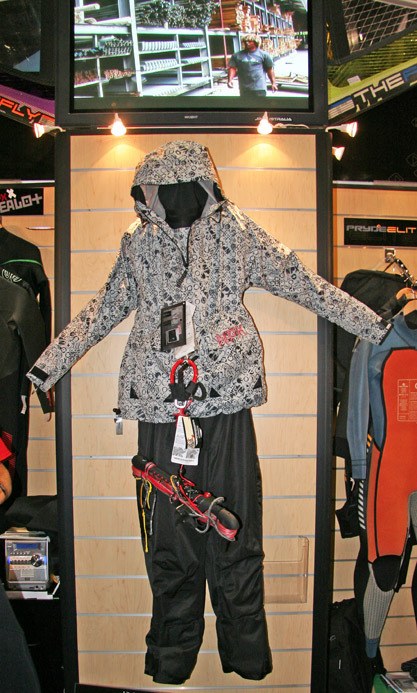 There was tons of buzz around the new Cab board line and the new NPX Lucifer Dry Suit. 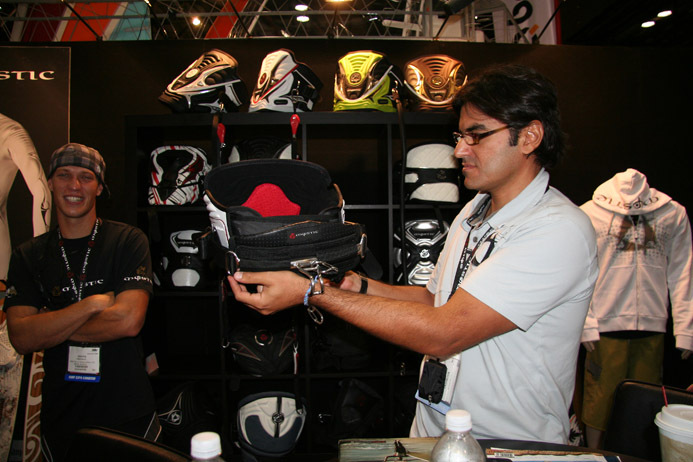 Crazy stuff and lots of work, but totally worth sharing the excitement of our 09 produts with with our dealers and riders. I hope that you enjoy. More to come. Heading into Surf Expo 2008. Pulled together some interesting photos from the show. The guys have been working hard and it, uh, shows? Greg, LW Dave, Dimitri and Toby tough it out, arrrggghhh! Toby of Kiteforum with Marina of The Kiteboarder Magazine team up and shoot the show. Looks like they might be belting out a show tune or something. Ready for Kite Opera?! Toby explained his production schedule to me. He would soup the video in the imaging processing application and then set his alarm to fall comatose for two hours. Then BRRRINNG and back at it. He kept this up for the whole weekend I think. There were two teams shooting the show also including Ryan and Zach. The amount of time and effort required to shoot, edit and upload this stuff, day after day is intense. You can see all the videos at: http://www.kiteforum.com/viewtopic.php?f=1&t=2351308 There's commitment! Folks were wearing themselves out using this funky gyro conditioning doohicky. The Hat-meister tools into the show in Hat livery. He wanted a copy of this to go to his mom, Mrs. Top Hat? Dimitri of Eclipse visits Nick of the new kite gear accessory line, Maelstorm. Before you can say "Bob's yer uncle" Dimitri is tagged and on clearance. Actually the tag came off the board marked special for the show. 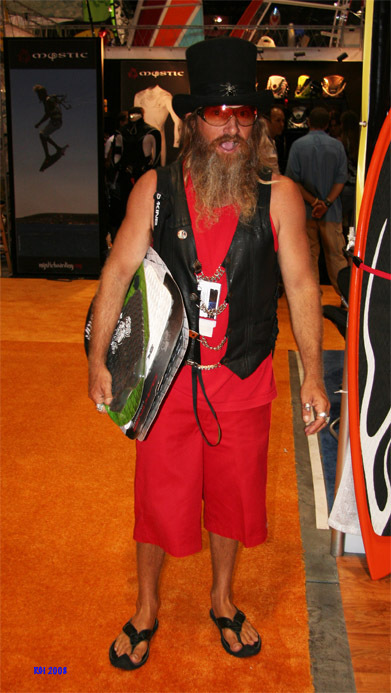 Maelstorm specializes in low priced accessories for schools and new kiters. The latest in Standup, just (don't) add water? PJ's but can you kite in them? Lonny, Katrina and Paula hang out at the Cabrinha booth. Not only is Lonny a marvel at strapless riding, he does it with his eyes closed! Amazing! They had three or more fashion shows a day. The models were also pretty incredible dancers too. You asked for it, you got it! 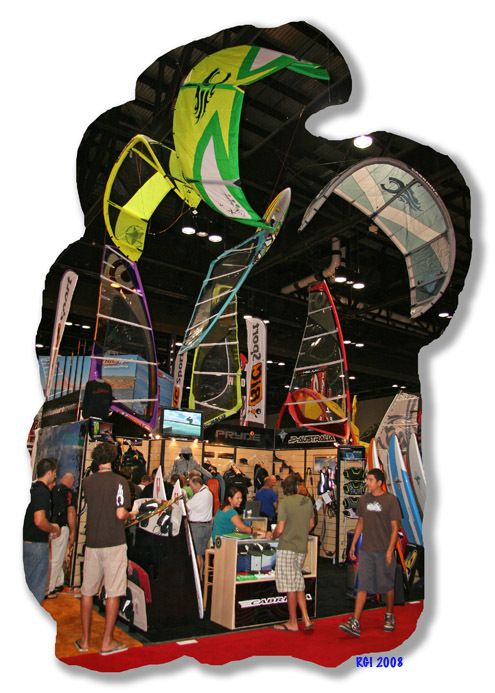 Indoor kiteboarding at the Expo! Stretch into it. This lady has some amazing almost gymnastic moves on the stage. 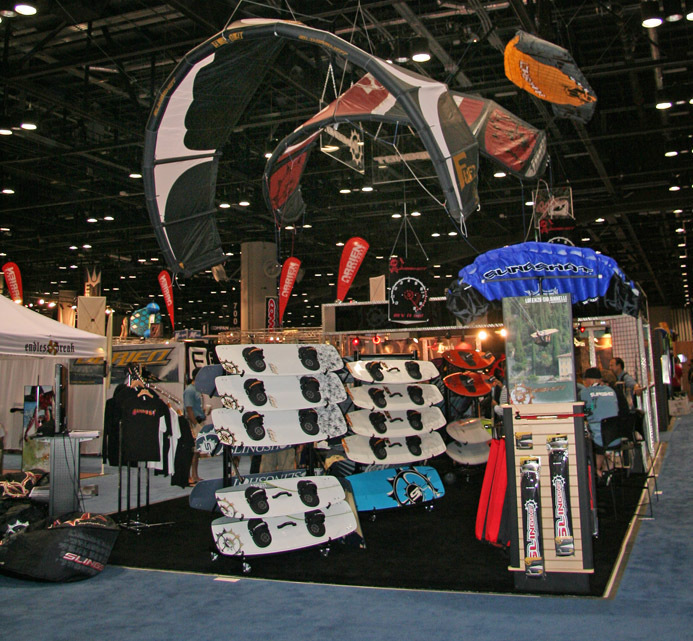 Mike just opened up a new retail kiteboarding shop, Switchside Kiteboarding near Cocoa Beach, FL. The folks are working on Popeye forearms and sucking down some suds courtesy of Lou Waiman at the end of the day. We love Popeye! A swarm of runway models drifts through. I got mine, you got yours? Toby sports his autographed Hat shot. 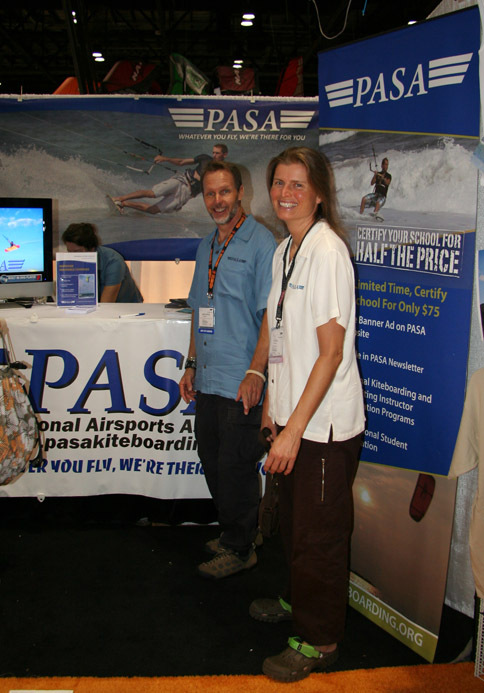 Christopher and Claudia "KiteGirl" Nyguard in from Oahu staffing the PASA booth. Christopher was telling me about some new affordable individual rider and school insurance PASA is now offering. Lonny takes down the latest Prodigy with Synch bindings. 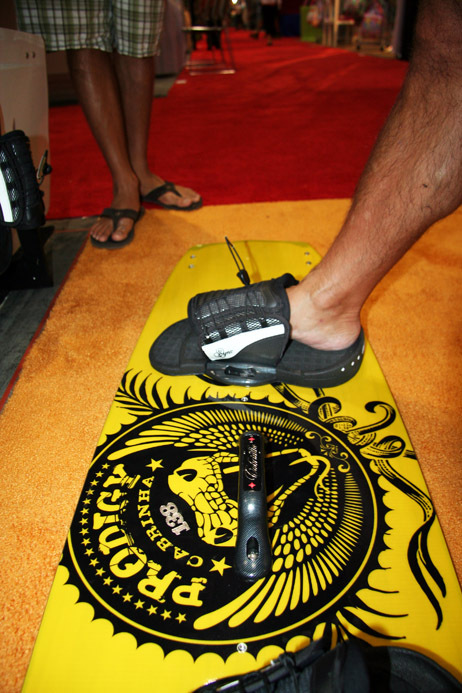 If you have a chance be sure to checkout the Plasma, it is an amazing light wind board. Last edited by RickI; 09-16-2008 at 11:05 AM. Added a little more info to the post. Hope it was a good show for the attendees. It seems a shame that us "mere mortals" are excluded from attending. When I first heard about the expo I was really looking forward to going until I heard it was an industry event only. Seems to me if the industry is going about the business of selling it's products, what better way than to open it to the public. Boat shows are open to the public; car shows are open to the public; air shows are open to the public. What's up with the surf/kite industry? Good points Frank. I agree, I think the industry would help itself by exposing new gear more effectively to consumers. Still, I don't see it happening at Surf Expo anytime soon. 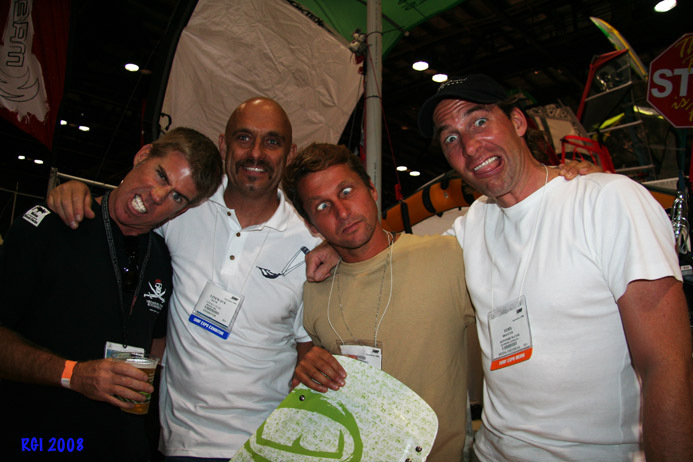 I've been going to them since 1999, back when there were very few kiting exhibitors. 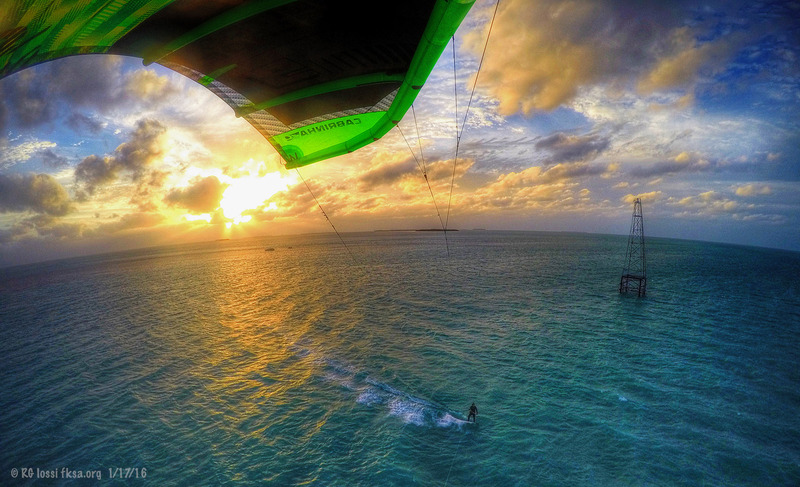 Kiteboarding doesn't drive the show, far from it. Checkout the categories of exhibitors listed below that come from all over the USA and world for that matter in some cases. There have been times when you could hardly walk to various parts of the show, there were that many people glutting the isles. It is a big opportunity for manufacturers and distributors to show retailers what is available, to answer questions. otherwise court them and to try to secure intent to order or actual orders. Sometimes the exhibitors are so busy you can't even interview them. That is just dealing with retailers, making critical impressions that could make or break a portion of the sales year. 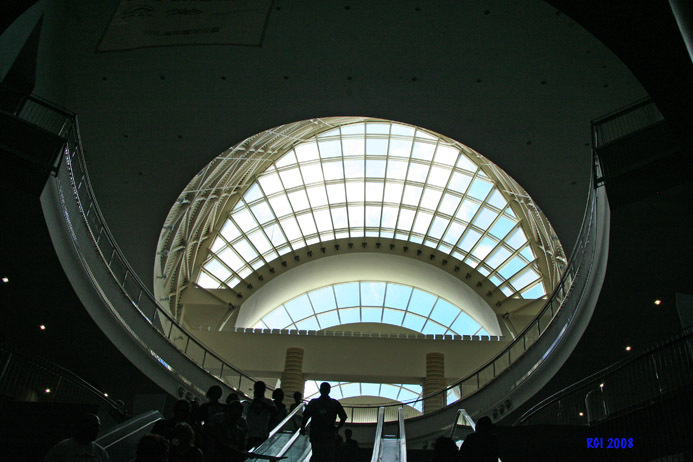 Retailers come from all over the USA, Canada, Central and South America. Manufacturers come from all over the world. Retailers may be interested in a lot more than kiting gear too, everything from bathing suits, tee shirts, shorts, jackets, trinkets, other board sports and more. They often need to make appointments with various exhibitors to secure time to see what is available. In busy years, there can be little time to cover everything in just three days. The show runs from about 9 to 6 pm and things are going nuts most of that time just with the industry present. There are dozens of booths with live bathing suit and apparel models. They have seating for buyers with catalogs, order forms and the like. Many of these booths are closed off and limited just to credentialed buyers. Forget about easily taking pictures of many of these exhibits, even with press/photographer credentials. They are worried about competitors taking designs. I had a first this year, a guy from HQ Kites stopped me from shooting his booth seeking identification and intent. He thought I might be trying to copy his foil kite designs for rival Chinese manufacturers or something? I was just trying to help them out with some exposure, too funny. I even bought one of their foils for the snow a while back, have yet to use it though. Add twenty to fifty times as many consumers for all those activities and I doubt much business with retailers would get done. You couldn't even get near some booths. It costs a fortune to have a booth at the Expo too, tens of thousands of dollars. They nail you coming, going (literally) and at every opportunity with charges. If you want to plug in an extension cord, you have to pay one of the Expo's tradesmen to do it. Bottom line, consumers won't be brought into Surf Expo soon I suspect. 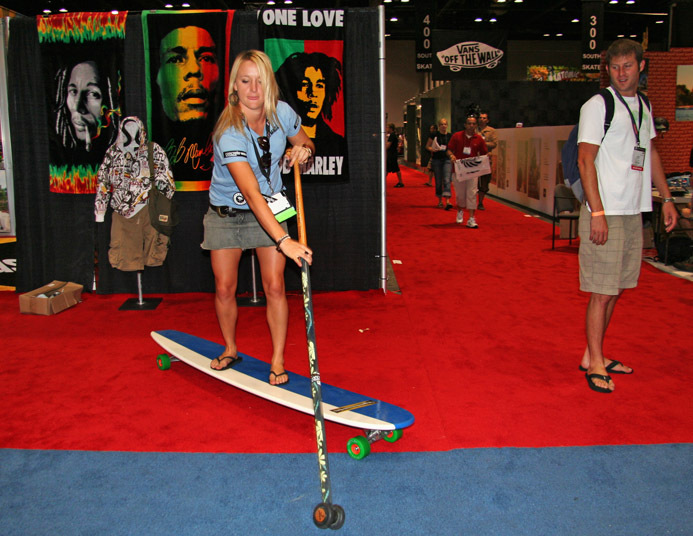 There just isn't time or room and many of the exhibitors, non-kiting, fashion, skateboards, wakeboards, surfing might well have a cow for lost sales opportunities to retailers. Another approach might be to have days set aside for the trade with time when the show is open to consumers. 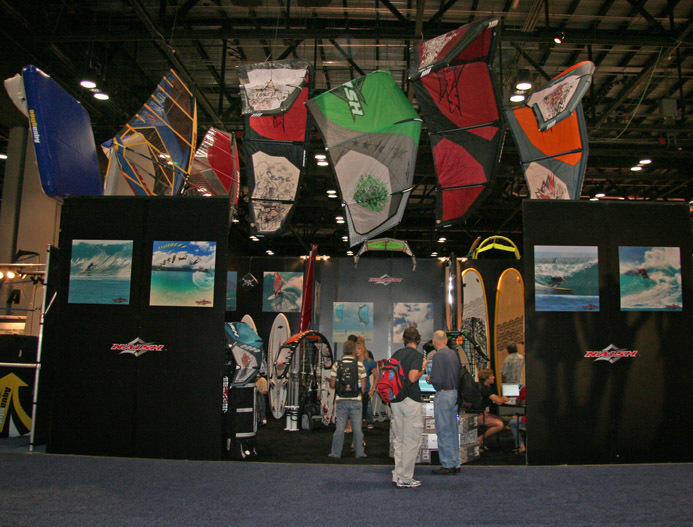 It's an idea, would likely work easily with kiteboarding, not so sure about all those other exhibitors but it could be a good thing. It would likely cost the exhibitors a chunk more in upfront money and security would be a nightmare for some areas of the show like skateboarding. Still, they might pull it off. Still, who ultimately buys all this stuff and keeps the industry alive? You guessed it. That puts a burden on manufacturers to get the word out there. How are they doing? Checkout the floor plan of the show, it covers a very large area. At that the show occupies less than 1/4 of the 1450 ft. x 800 ft. building with over twice that area available in the convention complex. Despite that you still can't walk into some areas easily at times. Last edited by RickI; 09-16-2008 at 05:32 AM. 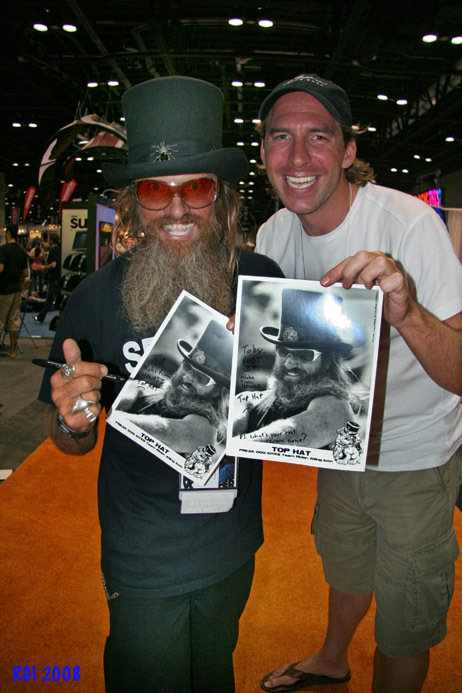 Enjoyin the great pics Rick, keep 'em comin if you've got more! John, I feel your pain, I contacted those people also via email and didn't get a response until after the show. I am in aviation and also contacted them to try to get access to see if it was worth having a booth, for a travel related venture, but didn't get an answer until after the show. I have exhibited at helicopter trade shows, the manufacturers are there, the distributors are there, the public is welcome, how many people can drop 1.5 million on a single engine helicopter. Everyone is free to take photos, videos, whatever. I'm guessing that if the aisles are as packed as Rick says they are than they are only renting a very small portion of the convention center and reaming the participants. At Heli Expo there are dozens of fully assembled helicopters on display for sale, they use the entire convention center floor,in Orlando, and joe blow off the street still only pays under $200.00 to get in, a fair price for all the industry info and contacts you can gather/make in a day.